John F. Kennedy and his wife, Jacqueline Bouvier Kennedy. Then Senator John F. Kennedy on The Caroline, the Kennedy Family Plane, during the 1960 Presidential campaign. 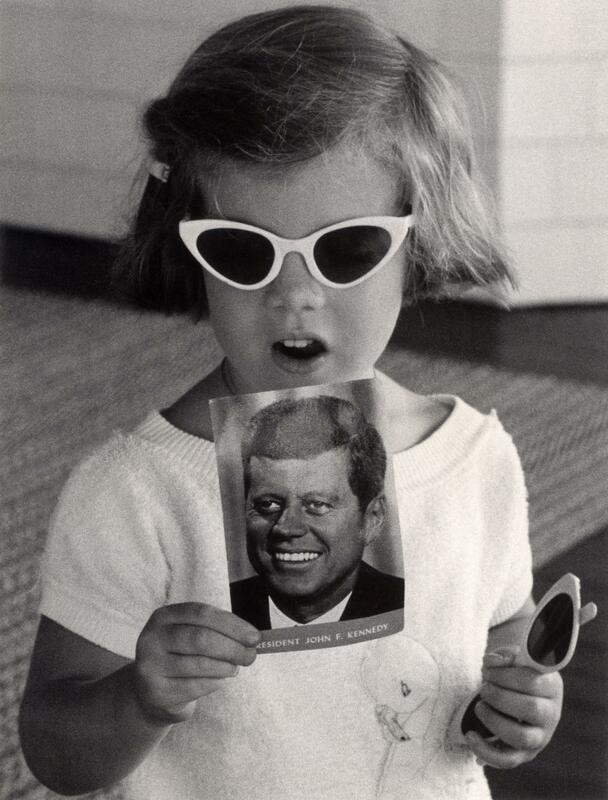 Caroline Kennedy holds up a card with her father's picture on it. John F. Kennedy Jr. plays as his father works in the Oval Office. As journalist and author Kitty Kelley conducted research for her unauthorized biography of Jacqueline Kennedy Onassis, she became good friends with photographer Stanley Tretick. 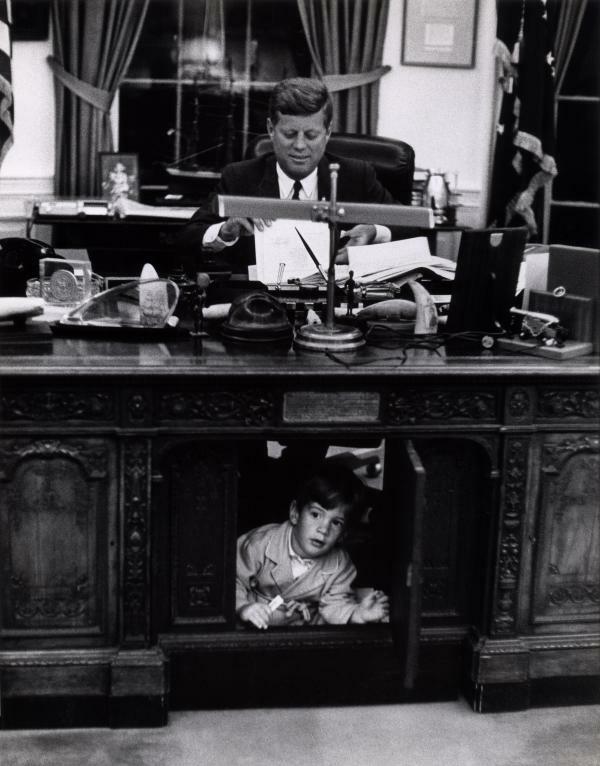 He is best known for his coverage of President John F. Kennedy’s 1960 campaign and presidency for Look magazine, and for taking iconic pictures like the one of John Jr. playing under his father’s desk in the Oval Office. When Tretick passed away in 1999 he left Kelley in charge of all of his photos and all the notes that went with them. In 2012 she published the book Capturing Camelot, and curated a photo exhibition to go along with it. The exhibit, entitled Kennedy Years: America's Camelot, is currently on display at the West Baton Rouge Museum through Dec. 29. Kelley said even though Tretick’s stories about the Kennedys were fantastic, the memos written back and forth between Tretick and his editors offered even better insights into one of America’s favorite couples. 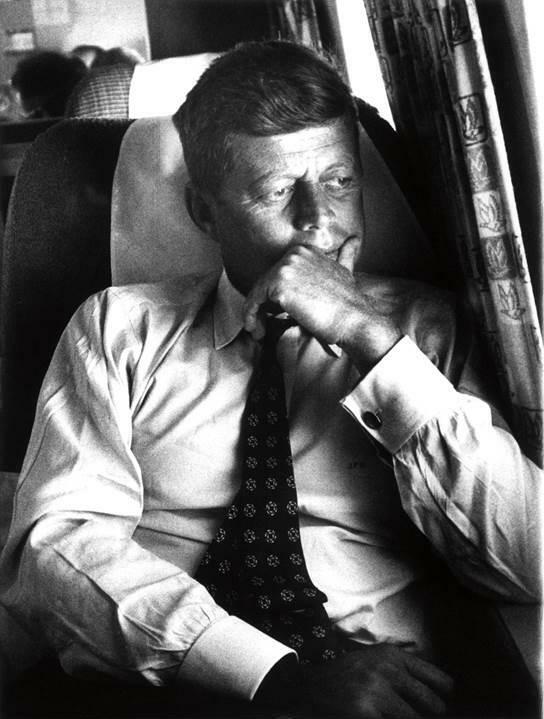 As one of only two photographers that would travel with presidential candidates at the time, Kelley said Stanley grew very close to JFK. "He would write memos to his editors talking about Kennedy hated being photographed eating, he would not let Stanley get a picture of him combing his hair, he couldn’t stand putting on any kind of headdress or hat with the sole exception of a hard hat," said Kelley. "He would wear a labor hard hat because he felt that when those guys turned out for him that it was really an accolade for a rich man’s son to be supported by labor." Kelley believes Tretick's photos of the Kennedys provoke in their viewers the very best memories of youth, of promise and of hope and then of dashed hope. An era, she said, that seems to have gone and never been recaptured again. 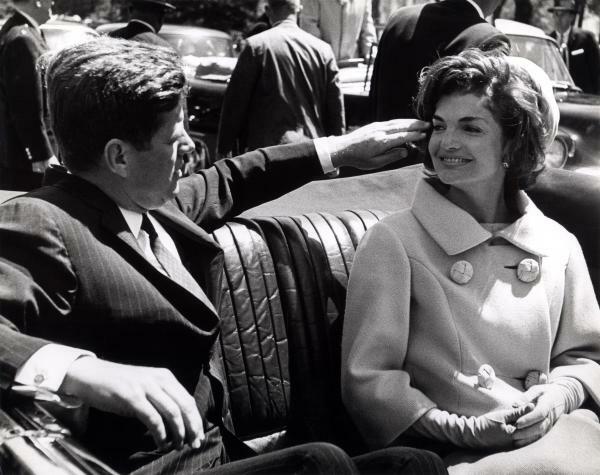 Kelley said Tretick's favorite picture was what he called "The Hand Shot": Kennedy in LA standing in a car and there’s a crowd of peoples surrounding him and reaching for him. She said Tretick really felt like that picture captured the beginning of a politician bringing Hollywood charisma to his election. "This was a visceral reaching out, wanting to touch the candidate in a way that really hadn’t been seen before. Very few politicians today have got the angulation and adoration that Kennedy had during his time," said Kelley. 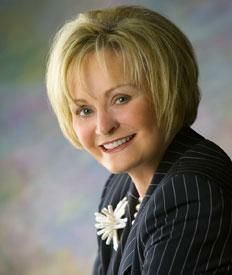 "Kennedy was Catholic and had just broken a barrier in our country, which pushed us forward. He was so young and they had young children and animals and the White House just seemed to be rejuvenated." But when it came to their children, Kelley said Kennedy's wife, Jacqueline, was ferocious in protecting them. She didn’t want them used, photographed in any way and Kelley said this was the one place where Mrs. Kennedy really put her foot down. But when Mrs. Kennedy went out of the country in 1962, Kelley said Stanley - who had been trying to get an exclusive story of the President and his son for Look magazine - got a call from the President to come over and take pictures. "He spent four days and nights with the President and his children," said Kelley. "She [Mrs. Kennedy] told Stanley that she was so grateful that the President and Stanley and Pierre Salinger, the Press Secretary, had not followed her orders and Stanley had gotten the pictures because if he hadn’t gotten them, she wouldn’t have had them." Kelley said on the day President Kennedy was assassinated, she was still in college and can remember not being able to move from in front of the television. She said stayed in front of the television Friday, Friday night, Saturday, Saturday night, Sunday and Sunday night. "I was besought by what happened, by the coverage, by Mrs. Kennedy," said Kelley. "And I think that’s probably why I wrote the first biography I ever did on Jacquelyn Kennedy Onassis because it stemmed from that time." At the West Baton Rouge Museum on Friday, Nov. 22 at Noon, Leo Honeycutt will give a lecture about Kennedy’s Campaign for President and how it essentially started in Louisiana. Copyright 2013 WRKF-FM.  To see more, visit http://www.wrkf.org.